If you’re just getting your feet wet in the industry, it may be a bit difficult to decide which plastic is the best use for your application. 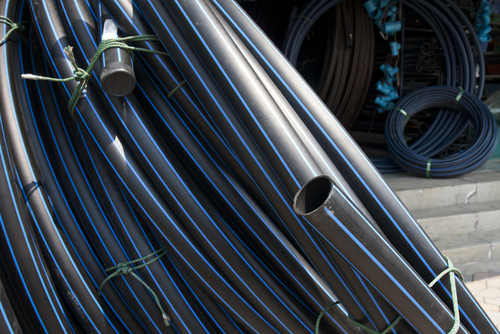 For purposes of this blog, we’re going to shed some light on why you may want to go with High Density Polyethylene (HDPE) pipe. Improved density. The name of High Density Polyethylene is highly descriptive. It’s a polyethylene grade that is significantly better thanks to the polymerization process that is used to make the pipe. With HDPE, its molecules are tightly packed together as its crystallizes, which leads to improved rigidity and density. HDPE is strong without being heavy. As mentioned, the strong crystallinity of HDPE creates a robust product with a higher density. Even so, HDPE still maintains a lower density than many other polymers, bested only by polypropylene and grades of Low Density PE. Despite its lightweight nature, HDPE is highly resilient and has superb impact strength. Versatility and protection. A multitude of industries can make use of HDPE, from construction to packaging for the food industry. It is also effective in protecting from the elements or chemicals as well as having strong resistance to environmental stress cracks.